Thes photos by Andy Baird were taken in 1977 at Jim Dewitt's studio on 38th Street just off Nicollet Avenue in Minneapolis. 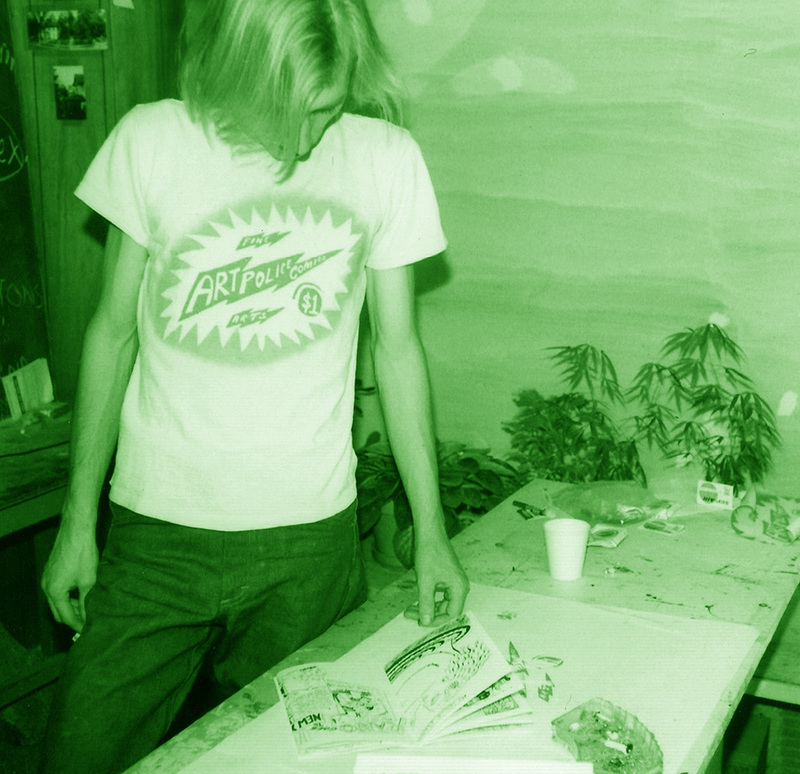 Ed Rath with silkscreen stencil for Artpolice logo designed by his brother Johnny Rath. Photo of Chris Woodward and another of Fritz Wolfmeyer looking at the then brand new Artpolice with a three color cover. Also photo of Andy and me. Thinking about Artpolice as we start work on a Best of Artpolice Book with publisher Divus in Prague. The project will take a while but it's exciting to think of a book that brings the best of this zine project to a larger audience and puts it on book shelves and in libraries for future audiences to enjoy. The Artpolicecomics was a small project that grew over 20 years into a sort of underground institution which in turn spawned other publicatons like Man Bag. Storyhead and Losing Faith to name but a few. Collections of the 70 or so iterations of Artpolice are available in various public collections like the MoMA Library, the Smithsonian Library ,The Walker Art Center among many others here and abroad. The project created a family of sorts anong the local participants so even as artists moved away we became a sort of mail project and in the final years half or more of our contributors were out of the region. Fritz Wolmeyer who is pictured in one of Andy's photos died a couple years ago he was an original founding member of the group and an important catalyst to inspire all of us with his energy and experimentation. Andy Baird was lalso a founding member who always brought his ideas to the front of the project political yet extemely sensitive he was also an inspiration. Chris Woodward was also a founding member of the group with a drawing style instantly recognizable as his own which inspired s all he and Ed Rath have been based in Brooklyn for decades but always were inspirational artists and always mad the book better by being in it. 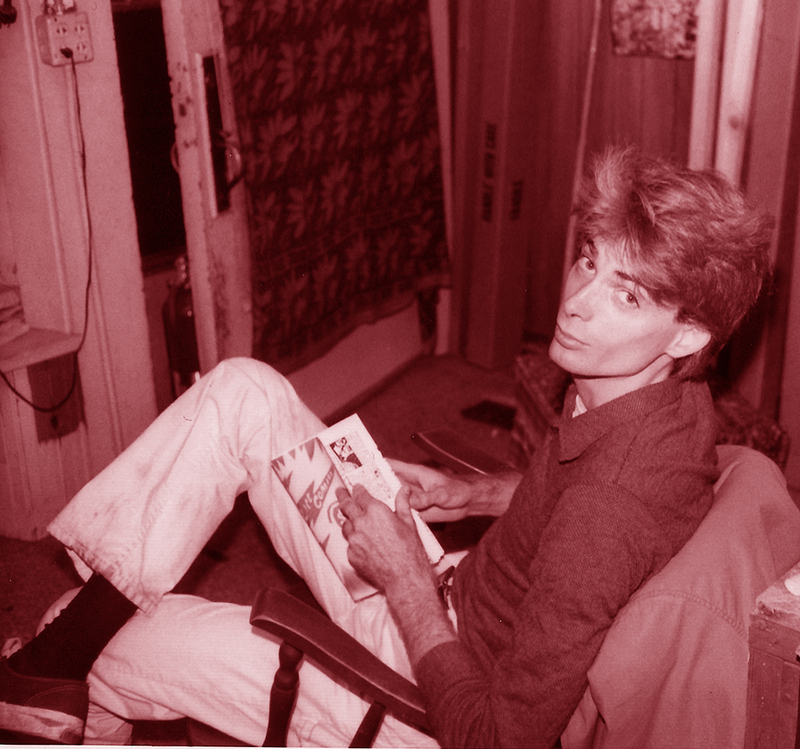 Ed Rath was the first and most important early contributor who brought his unique vision and sensibilities to the Artpolice books. In many ways Ed was the catalyst for keeping the project alive while I was struggling with mental health issues. Both Ed and Andy produced Artpolice books in New York that were really extraordinary and made us all feel the strength that flexibility gives to a project. Constantly experimenting and looking always to include more people more artists who could identify with our antiestablismentarian approach to an art zine. Rememering those times really refreshes my sense that artists can work together to create venues and opportunities and share the wonder of each other's vision.